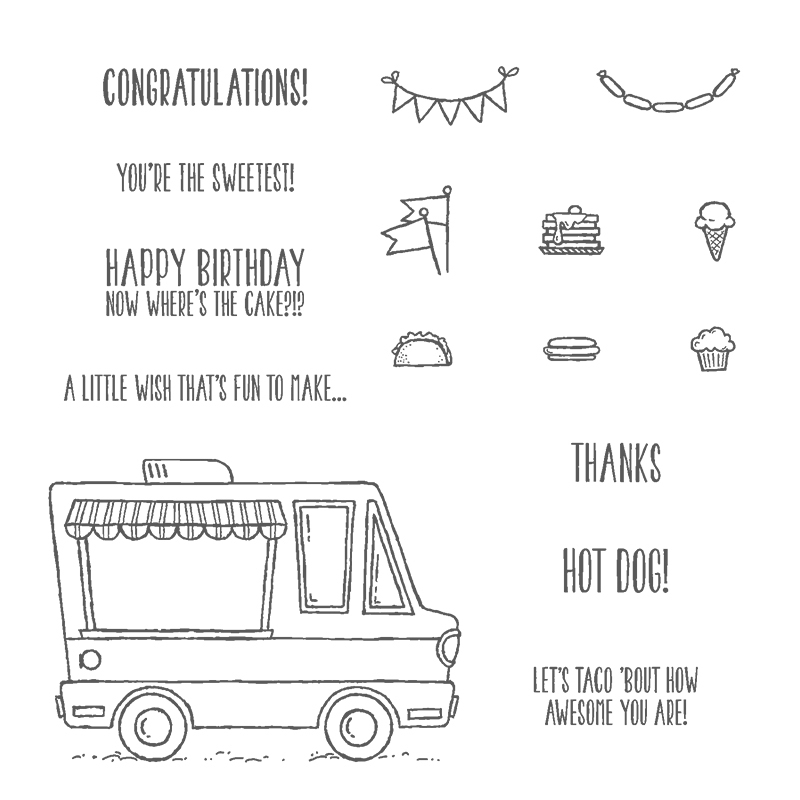 Yes, that's right, if you've not seen on my website already, Tasty Trucks is FREE when you spend £45 on Stampin' Up! products during Sale-a-bration - look at the Sale-a-bration Brochure to see the other free gifts you can choose from. In fact, it's not one free gift for an order £45 or more, but a free gift for EVERY £45 spent on products between now and the 31st March 2017, while stocks last. Isn't it gorgeous? This one is relatively simple but you get the idea. I look forward to spending a little more time playing with this stamp set. 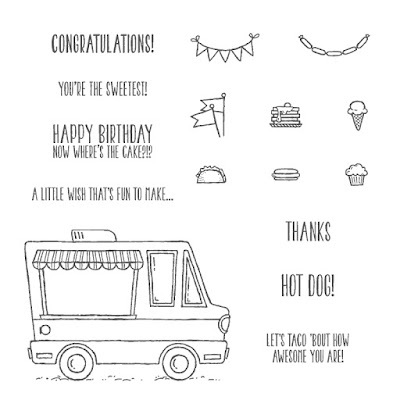 If you have any questions about this project, Sale-a-bration or Stampin' Up! products please don't hesitate to get in touch using the email address at the top of the page.